Should My Child Have Dental Insurance? Welcoming a newborn into the family is a time filled with lots of joy and more than a little stress. Dealing with a baby’s day-to-day needs can keep you plenty busy. But you also want to take early steps to ensure your child’s future, and smile, is bright. While your child doesn’t need dental care immediately, you do want to set them up for a lifetime of great oral health. Dental insurance can help make dental care affordable for adults, but is it a good option for children? Let’s take an in-depth look at dental insurance and other potential ways to save on dental care for children. Will My Employer-Based Dental Insurance Cover My Child? If you have dental insurance, the chances are good it’s connected to your job. Among those with dental insurance, a whopping 90% have policies provided by their employers or other large organization like AARP. Just 7% of people with dental insurance purchased an individual policy. Generally, employer-based dental insurance will cover either the employee, the employee and a spouse, or an employee, spouse and children. Changing coverage options can typically be done either during the annual enrollment period or after a major life event such as marriage or the birth of a child. Dental insurance coverage can vary significantly. Some policies provide no coverage for children. Others do but require the child to be signed up at birth. Still, others let you enroll your child at any age. Your employer’s HR department is typically equipped to help you determine the specifics of your plan. But even if your dental insurance covers your child, do you want to enroll him or her in your plan? How Will My Child Benefit from Dental Insurance? Preventative procedures like check-ups and cleanings are covered 100%. Minor procedures like gum disease treatments and fillings are covered 70% to 80%. Major procedures like bridges and crowns are covered 50%. You’ll still have to pay premiums, deductibles, and co-pays. Typically adding a family member to an existing policy is pretty reasonable. But you’ll still want to weigh the costs and benefits before committing to any insurance plan. When Should I Enroll My Child in a Dental Insurance Plan? If you decide your child will be well-served by dental insurance, you’ll want to enroll in the plan as early as possible. Most dental insurance requires a waiting period between enrollment and the start of coverage. The average wait time is about six months. Your child’s first dental visit should occur either after their first tooth appears or by their first birthday, whichever occurs first. Most teeth first appear between six and 12 months. If you enroll your child in a dental insurance plan at birth, it’s entirely possible they’ll need to visit the dentist soon after coverage goes into effect. At the very worst, you’ll pay for about six months of coverage you might not use. Another benefit to early enrollment is you’ll potentially limit restrictions on pre-existing conditions. Most insurance plans don’t cover dental problems which existed before enrollment. The longer a person goes without dental insurance, the greater their chance of developing a pre-existing condition which won’t be covered later. What if I Don’t Have Employer-Provided Dental Insurance? Don’t worry. Many people are employed (or unemployed) without dental coverage. Other options are available for affordable dental care. Children’s dental benefits are provided through Medicaid and the Children’s Health Insurance Program. As part of the Affordable Care Act, CHIP enrollees are being transitioned into Medicaid. Applications for Medicaid and CHIP are accepted all year long. Children enrolled in Medicaid are eligible for a variety of minimum services including pain relief, tooth restoration, and overall dental health maintenance. Medicaid / CHIP dental providers and benefit packages vary by state. The website insurekidsnow.gov provides a complete list of options. Another option is a dental savings plan. Available for everyone, including children, dental savings plans provide members with immediate discounts of 15% to 60% on dental care. A wide variety of potential discounts are available including savings on many preventative, minor and major procedures. 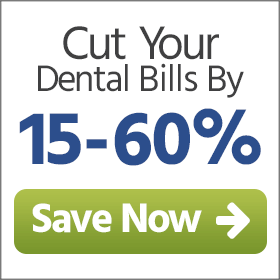 Plans are accepted at over 100,000 dental professionals nationwide. Unlike dental insurance, dental discount savings apply to dental problems you had before purchasing the plan, so you don’t have to worry about restrictions on care. Plans activate within 72 hours after purchase. You can get the dental care you need right away. While children do benefit from dental insurance in some situations, it’s not the only option. Medicaid, CHIP and dental discount plans also help make dental care affordable for your children. Early dental care planning for your children will lead to a lifetime of healthy smiles! Are Dental Discount Plans a Good Idea for Seniors? Does Dental Insurance Help Treat Existing Dental Problems?